Belly absolutely lives for her summers at the beach house in Cousins. Every summer she’s gone with her mom, brother, mom’s best friend Susannah, and Susannah’s sons Jeremiah and Conrad. She doesn’t miss her school friends at all, or regret that she can’t attend their summer parties and Fourth of July get-togethers. In fact, the one time she brought her best friend, she regretted it. Summers are meant to be spent with only these particular people. Jeremiah is her best friend, Susannah like her second mother. And ever since she can remember, Belly has been in love with Conrad. Moody, elusive Conrad who has never given her a second look. Until this summer, when both boys notice that Belly isn’t a little girl anymore. There is a coming-of-age feel to the novel, because this is the first summer that Belly is invited out to parties with the boys which creates friction with her brother Steven. And while I wouldn’t call her relationships with Conrad and Jeremiah a romantic triangle, there is plenty of tension. There is another shadow cast over this summer as well. Susannah has been spending more and more time napping or out on alleged shopping trips with Belly’s mom Laurel. There is mention of an impending divorce, but we learned in the beginning of the novel that Susannah once had cancer, and every astute reader knows there’s a reason we are given this backstory. Belly has to grow up in many ways during this novel, and accept that the summers she loves are changing forever. 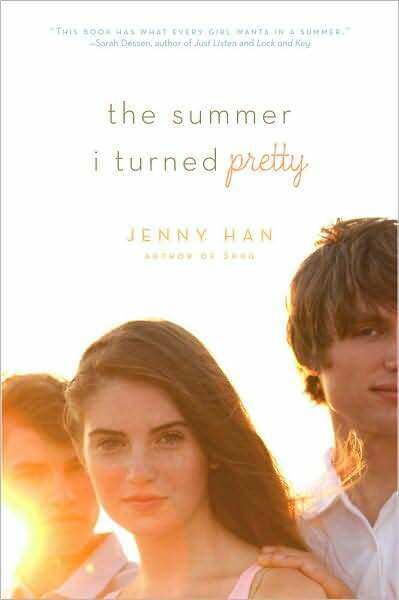 This is a great summer YA novel, completely free of high school related drama, which I appreciated, but there is plenty of romantic tension and adolescent angst. I liked Belly’s changing relationships with Conrad and Jeremiah, and her confusion and outbursts felt genuine. I hated that her name was Belly (short for Isabel – such a better name!) but she is a character you can root for.